Accepting that the sales and marketing funnel will always be leaky is akin to accepting that, despite all efforts, we will not grow taller… or younger. It’s never going to happen, we know this. The marketing funnel will always be leaky, no matter how talented and thorough sales and marketing teams become at plugging the holes. But accept it we must! Since as of today, there is no leak-free funnel and none on the horizon, we all just have to deal. We learn from SMstudy that the leaky funnel is an analogy. Water being poured from the top represents prospective customers and the water existing from the bottom represents converted customers. In a perfect place known as “Sales-and-Market Landia,” every dear soul who ever views our ad, not to mention visits our website, would be swirled into our seamless steel-trap funnel with no chance of escape except out the bottom as the proud owner of our product or service, free to roam and spread the good word. Well, the real world is not “Sales-and-Market Landia,” and most of those who venture into the funnel will ultimately slip through the cracks on their way to the final stage (aka the sale). 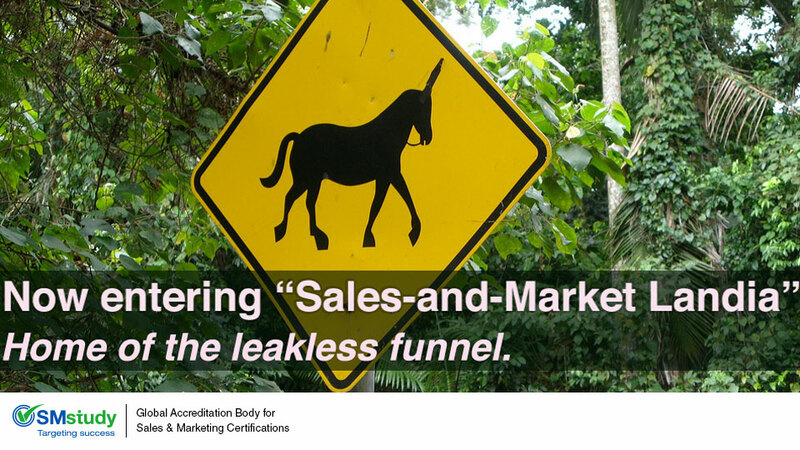 Leakage numbers vary, but according to Lisa Cramer nearly 80 percent of those who fall into the funnel are never brought to sales. On the bright side or perhaps a cautionary warning, 60 percent of leads who enter the funnel will end up purchasing within the next 24 months… just maybe not via that same funnel. With figures like these it’s no surprise we find all sorts of advice on how marketers can plug the holes of their own unique funnels. Just google, “plug leaky funnel” and you’ll see what comes back, a bucket load of funnel advice. Basics such as data analytics and understanding the Point of Loss (POL) and Point of Influence (POF) can help to identify and shore up the holes, and realistic genuine attempts should be made to do so. But at some point, acceptance of a leaky funnel is key to not obsessing over the holes and maintaining your sanity. Put more total people in the funnel. Your funnel still leaks, but more people in should mean more people out. If only 1-5% of the people at the top of your funnel actually buy from you or sign up for your services, you need to first focus on improving your funnel rather than putting more people into it. Put more of the right people in the funnel. You hope to attract and sell more of your target audience. But, if you don’t clearly understand why they are choosing you, this approach will not be fully effective. Retain more of the right people in the funnel. By slowing or stopping the leaks in your funnel, you will optimize your efforts to attract and retain more target customers. This is usually a much more productive near-term effort versus just spending more on ads or offering promotions. So, ideally, yes, all holes would be plugged and anyone who ever knowingly or unknowingly fell into our funnel would come out the proud owner of whatever product or service was for sale. But that is a myth, a dream straight out of “Sales-and-Marketing landia.” The truth is, despite all our efforts, there will always be holes. Always. But still we plug on! SMstudy Guide, Digital Marketing, pg.62-63.